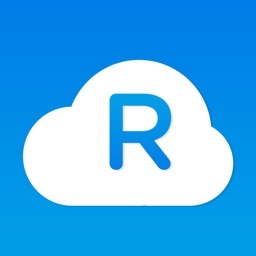 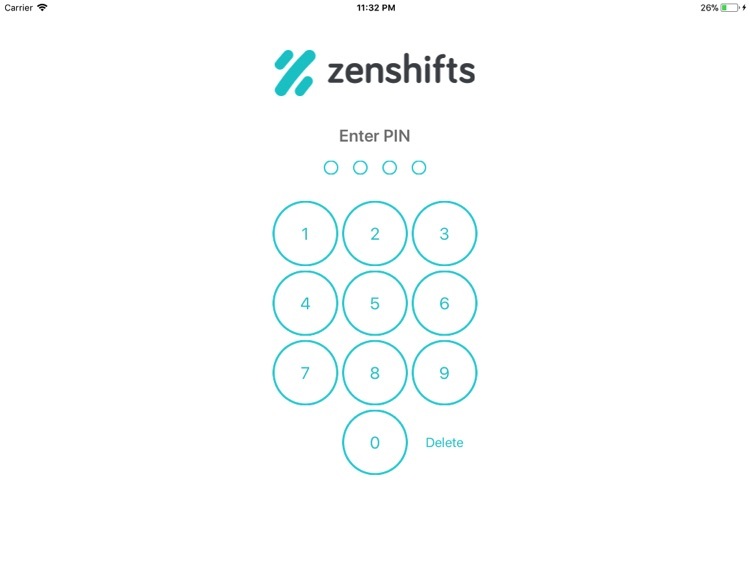 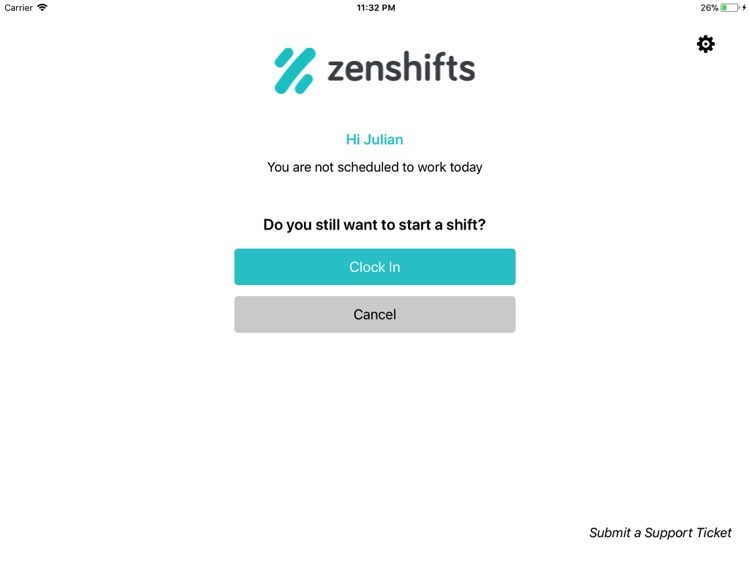 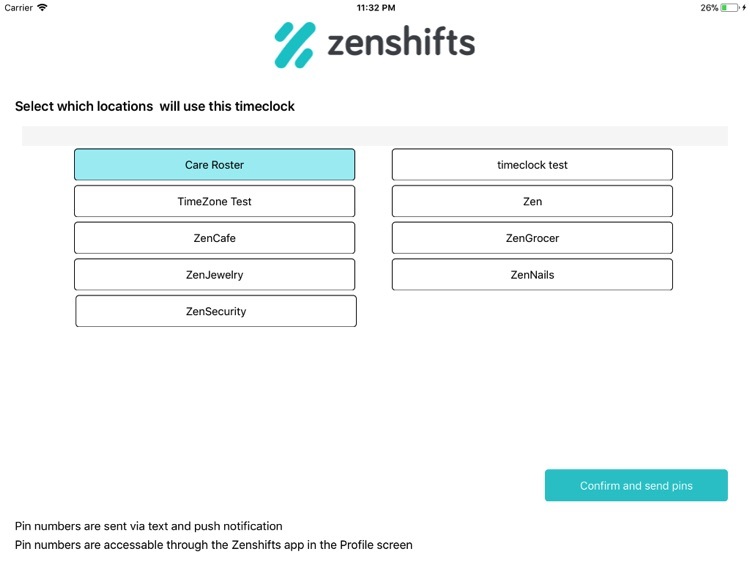 Turn your iPad into a cloud-based time and attendance add on to the Zenshifts Employee Scheduling system. 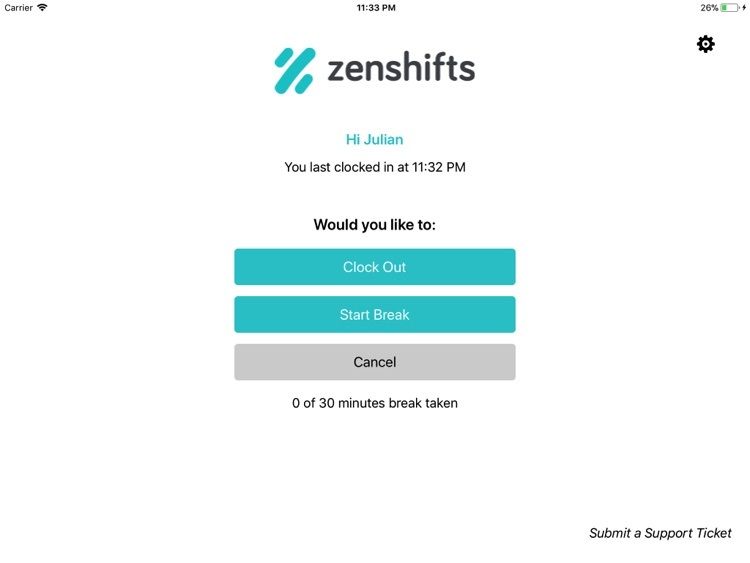 The Zenshifts Time Clock allows your staff to clock in and out of shifts quickly leaving them to get on with the job and you with an accurate track of their movements through the day. 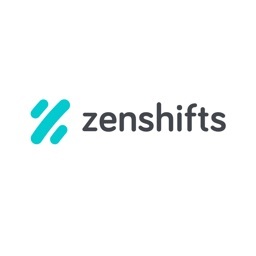 Track start, end and break times as well as any additional unplanned work and let Zenshifts calculate the hours to be paid using our powerful pay rate calculator before exporting the approved hours to payroll. 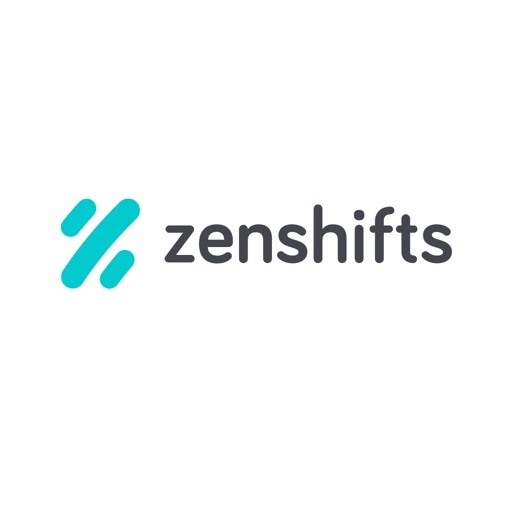 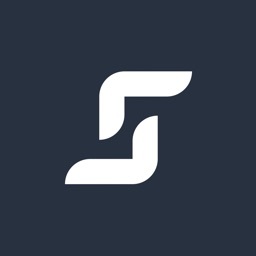 Zenshifts is a fantastic solution for Small and Medium-sized businesses looking to streamline their Employee Scheduling and Time & Attendance tracking while keeping the budget in check.